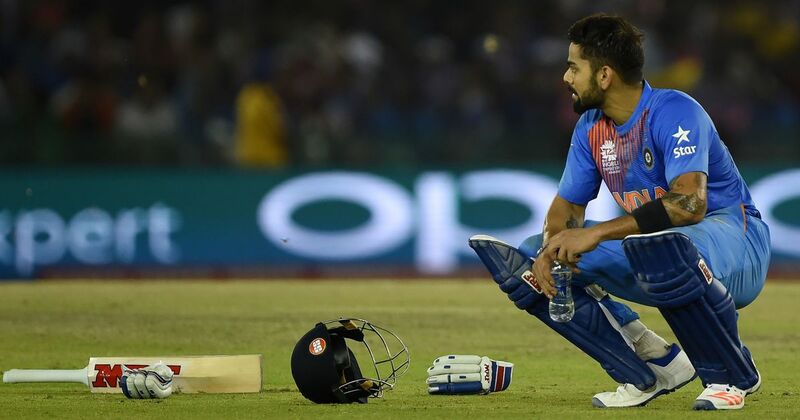 Nagpur, Nov 28: Rested from the one-dayers against Sri Lanka, Indian captain Virat Kohli is uncertain for the Twenty20 series as well and will decide on his participation after consulting the team management and the selection committee later this week. "Virat has told the selectors that he needs some time to take a call on whether he will be playing the T20s or not. That's reason why they have not announced the T20 squad," a BCCI official, privy to selection matters, told PTI on conditions of anonymity. "Virat has some personal commitments till December 12. Post that, whether he would like to take rest or just play T20s will be his call completely," he added. The national selection committee and the team management -- comprising chief coach Ravi Shastri and Kohli -- will be deciding on the matter during the team selection meeting for the South Africa Tests in New Delhi, later this week. It is also learnt that following Kohli's concerns about lack of preparation time, a decision will be taken whether some of the Test specialists could be sent to South Africa early to acclimatise with the conditions. The three T20 Internationals will be held on December 20, 22 and 24 at Cuttack, Indore and Visakhapatnam respectively. The other issue that needs addressing is preparation for the South Africa series. With both Tamil Nadu and Saurashtra out of Ranji Trophy, the likes of Murali Vijay and Cheteshwar Pujara, who are automatic picks in the Test squad, won't have any game time post the third Test against Sri Lanka in Delhi. "There is a school of thought that we should do something similar to the 2010 tour of South Africa, when some of the batsmen went 10 days prior to others and did their skill-based training at Gary Kirsten's academy in Durban. India had their best result in South Africa as they drew the series 1-1. "It's like Australia what did earlier this year when the Test specialists arrived in India early for the series while a new-look T20 team played against Sri Lanka in the T20s. These are some of the areas that may be addressed by the selectors and team management.